A federal program that matches up to $500 in contributions to retirement accounts would cost one-thirteenth what Social Security does, provide triple the payout, turn every American into a millionaire, and solve our national savings crisis. And we could still keep Social Security on top of that. Perhaps the greatest crisis facing this country — greater than the national debt, or state and municipal debts, or student loan debts, or consumer debts, or trade deficits — is the savings crisis that nobody seems to be talking about. According to the most recent data, two-thirds of Americans save little to no money at all. 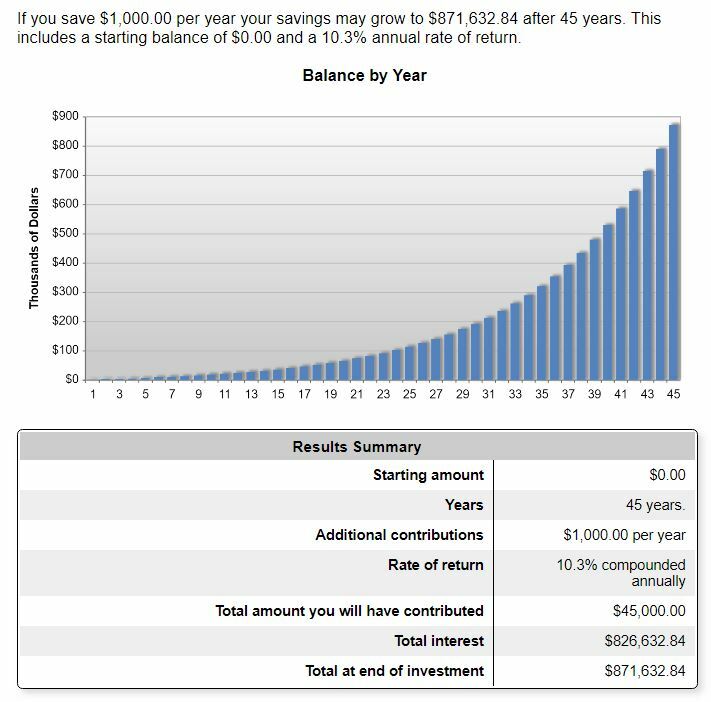 About 57% have less than $1000 in total savings, and 39% have absolutely nothing saved. People used to earn money first, and only spend it after they had put some away. Then we started living paycheck to paycheck. Now, thanks to credit cards, mortgages, automobile financing, layaway programs, and all sorts of other cheap credit, we spend money we don’t even have, with no end in sight. This is especially troublesome because the consensus is that by the time somebody reaches age 40, they need to already have saved at least twice what their highest salary is. By age 50, that number becomes four times their salary, six times by age 60, and eight times by age 67. We are nowhere near that. And Social Security, which is designed as a retirement supplement, cannot be counted on to make up the difference. The solution is for the government to do for taxpayers what many businesses already do for their employees, and that is to encourage savings by making matching contributions to retirement accounts. This would not be all that difficult to implement, it would be relatively inexpensive. But the resulting benefits to the participants would be enormous, potentially turning every participating American into a millionaire. The program could be very simple: a taxpayer puts $500 of his own money into his own retirement account, and the government matches that with an additional $500. This would not even require any out-of-pocket cost on the part of the vast majority of taxpayers, since 83% of taxpayers get a refund, and the average refund is about $3000. So, all the taxpayer would have to do is elect to have five-hundred of those dollars that they would be getting back, instead diverted to a qualified IRA. And to maximize participation, we could make the election automatic, unless the taxpayer chooses to opt out. The program could mandate that the money be invested in privately held, passively managed ETFs that track the S&P 500, which, from January 1, 1970, through December 31, 2016, averaged annual returns of 10.3% (compounded with dividends reinvested). At that rate, with $1000 annual contributions over thirty years, the taxpayer would by then have an account worth $192,061, even though he had only put in $15,000. By year forty, when he is ready to retire having only put in $20,000 and the government an additional $20,000, that account would have ballooned to a staggering $529,745! And if we use 45 years of growth, for a taxpayer who starts working at age 22 and retires at the present Social Security age of 67, that amount reaches an astonishing $871,632.84! Two years later that taxpayer would be a millionaire! And that’s with minimum contributions of only $22,500 for the taxpayer and government each! If the taxpayer puts an additional $500 in per year, he’ll end up with $1.3 million by age 67! (See the charts on the bottom of this page). Show me one other government program that provides returns like that! This is the genius of a private-sector solution, that most of the money that benefits the citizen comes not from the government budget, but from growth in the value of the stock market! So over 90% of the gains cost the government, and the taxpayer, nothing! Roughly 150 million individual tax returns were filed last year, so if everyone participated, the program would cost the federal government $75 billion annually, which is roughly 2% of the federal budget. To put that in perspective, we gift $50 billion every year to foreign countries through various aid programs. The federal government spends about $45 billion on benefits for illegal immigrants, with state and local governments spending another $90 billion. If we can find that much money for other people, our government should at least afford us this much for ourselves. On top of that, we spend $1 trillion on Social Security, which is roughly 25% of our federal budget. But the returns are very poor. The average male who retired in 2010 paid $300,000 in lifetime payroll taxes for towards Social Security, but will receive only $277,000 in benefits over the course of his lifetime. Women do a little better (because they live longer), with the average earning woman paying $302,000, but only barely getting that same amount back. So it’s basically a zero percent interest loan to the government, if you’re lucky. What’s worse, is that current projections predict that by 2030, the average man will collect only eighty-four cents for every dollar contributed, with women getting only ninety cents on their dollars. The matching contribution program, on the other hand, only costs one-thirteenth what Social Security does, and would provide more than triple the returns! Plus, since the money is held in private accounts, it can be passed on to future generations, giving them a head start on their own savings, and further ensuring the private accumulation of wealth for individuals, in particular those poorer Americans for who inter-generational wealth transfers are rare. This is a great first step to removing people from government dependency. 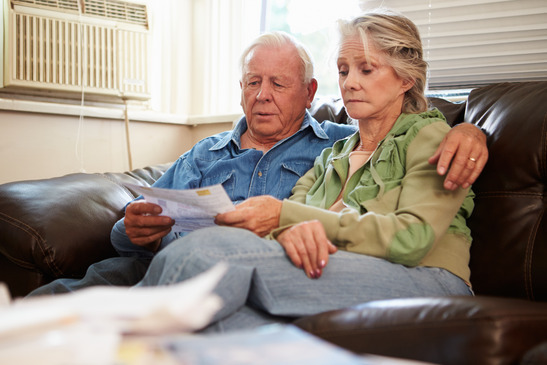 Additionally, the money could be used for other things presently permitted of IRAs, such as a down payment on a first home, or transferred into a Health Savings Account (HSA) to help with medical bills. And, of course, Americans would still have their Social Security payments to supplement their discretionary spending. Incidentally, the IRS already offers a similar matching contribution program called the Retirement Savings Contributions Credit, but it is badly flawed and therefore very ineffective. The first problem is that the existing program is only available for lower-income Americans. 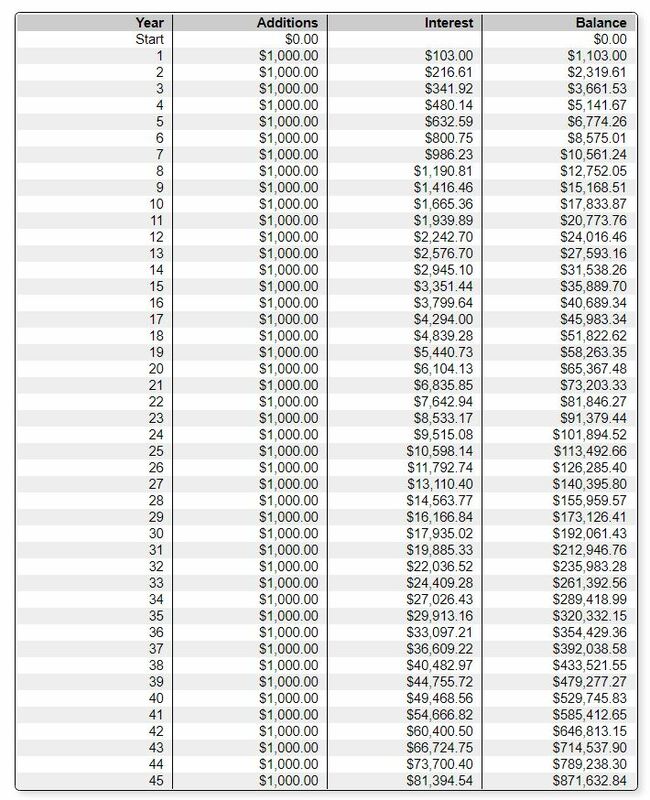 An American making $19,900 qualifies for a 50% match of whatever they put in (up to $2000), but what are the odds that such person can put in $4000 to maximize the $2000 he’d get back? Plus, the matching rate reduces as income increases, such that at $31,500, which is the maximum income one can have to participate in the program, the government only matches the contribution by 10%. So that American would have to put away $5000 that he probably does not have, in order to get the $500 from the government. And Americans making more than that simply would not qualify. Secondly, the tax credit does not get deposited into the IRA, but simply goes to reduce one’s tax liability, which means it probably is not getting saved anyway, which defeats the entire purpose of the program. Third, and this is perhaps the most problematic, is that the tax credits are non-refundable (i.e., cannot reduce one’s tax liability to a negative number), meaning that if the filer already has zero federal income tax liability (which is true of most low-income Americans), this provides no benefit. Since Americans making under $30,000 are already paying negative tax rates thanks to other deductions and credits that are refundable, this does not help them at all, and therefore does not incentivize anything. Not surprisingly, relatively few Americans take advantage of this program, and those who do hardly get much benefit from it. From 2006 through 2014, only 3-5% of tax filers claimed the credit in any given year (maxing out at roughly 8 million filers out of 150 million), and on average they only collected about $156 to $174. So this is doing very little good for very few people, and is clearly vastly inferior to the plan outlined here, which would provide intergenerational wealth to every American who participates in it. Conservatives favors small government, less spending, and personal responsibility, so it is rare that we advocate for any sort of new entitlement. But it would be nice to actually benefit from one for once, and this one would benefit everyone, while making Americans far less dependent on government, and solving a grave problem in the process. That, after all, is what conservatism is really about. The government creates enough windfalls for itself and for special interests, and spends enough money on non-Americans. It’s time to create a program that benefits all of us, and considering this one can be done so inexpensively, provides such an incredible return on investment, and solves a perilous problem that demands immediate attention, and for which there seems to be no other solution, it should command the support of all Americans, and be advanced with all deliberate speed.